Mumbai 07 August 2016: Oh wow Its like you are glowing you would like to hear this from your friends, family and hubby. Nothing makes you feel as confident as having glowing, radiant, healthy, perfect skin. Great and perfect skin makes you feel healthier and look younger no matter what your age or physical condition may be. So come on make your skin glow you deserve to look beautiful and feel fabulous. Black skin (Darker skin) has distinct Feature/Quality and typically benefits from extra moisturizing in the form of natural, emollient-rich oils. People who have black skin must wash their face two time a day with a gentle and a natural cleanser and must remove their makeup before going to bed because makeup left on the skin can destroy your skin more. So you must always remove your makeup to have Clear, Perfect and Glowing Skin. Natural toning face masks will help your skin to remain clear and develop a healthy glow. You must soak a clean wash cloth in hot water and place the wash cloth over your face for more minutes or until it cools. Before washing your face you must do this first thing in the morning this will help you to open your pores. You must use a natural toner made from lemon juice and water. Firstly Squeezed one tablespoon of freshly lemon juice and fill it in a water bottle/container with and five tablespoon filtered water. 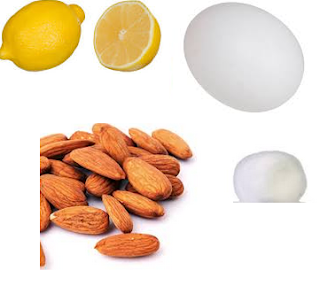 By using a cotton ball apply the lemon juice toner and do not rinse off. Before going to bed you must massage your face with nourishing oils like sweet almond, coconut, olive and jojoba oils which are best and perfect choices. Black skin (Darker skin) is generally dry you must keep it so that it allows oils to soak into the skin overnight can help you to glow your skin in the morning. By using your fingertips you must apply the oil to the skin. Use special case when massaging the sensitive tissues around the eyes. You must apply a homemade natural face mask once or twice per week. Smash one ripe banana with 1 egg white and cover your face, neck and decolletage with the mixture. You must leave the mask on for 15 minutes then remove or rinse it off with warm water.